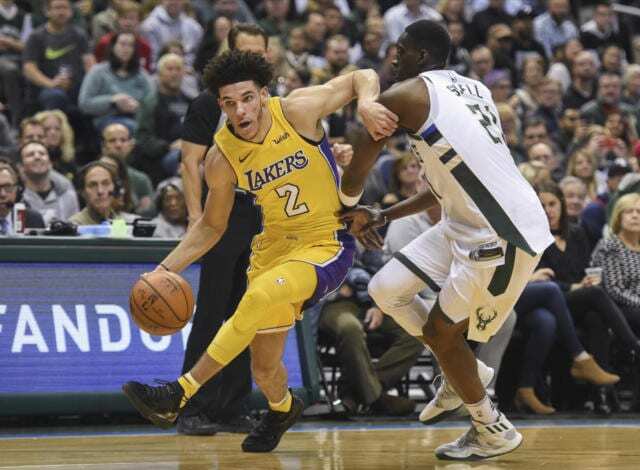 After a 0-2 start to the four-game road trip, Lonzo Ball and the Los Angeles Lakers found themselves in Wisconsin, facing off against Giannis Antetokounmpo and the Milwaukee Bucks. This showdown also had a little extra meaning for Ball, as his NBA comparison Jason Kidd watched from the opposing head coach’s box. Kidd’s backing off of his original statement about Ball definitely added fuel to the fire for Ball, as he came in making an immediate impact. Both teams find themselves under .500 to begin the season, within striking distance of their opponents in their respective conferences. However, both the Bucks and Lakers have very optimistic outlooks moving forward. The Bucks acquired unsatisfied guard Eric Bledsoe after it got into an unfortunate situation with the Phoenix Suns. 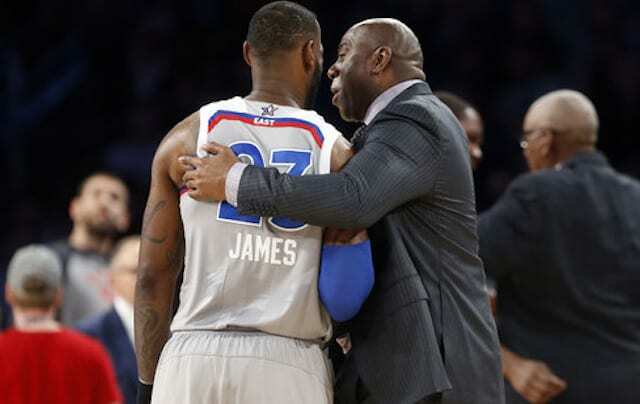 On the other hand, the Lakers enter attempting to find their identity, something head coach Luke Walton has been imparting onto his young team. Walton continued the trend with his recent starting lineup, with Ball, Kentavious Caldwell-Pope, Brandon Ingram, Kyle Kuzma, and Brook Lopez. Kidd countered with Bledsoe, Tony Snell, Kris Middleton, Antetokounmpo, and John Henson. This matchup was a promising one for the NBA, as each organization has a lot of upside to work with. Ball started off the game with a three from straight away, getting his team off to a hot start. He then was able to beautifully set up Ingram with a cross-court outlet pass for the breakaway dunk. While Los Angeles was excellent with their rotations early on, the Bucks were able to keep their patience with the ball rotations and find Henson for a pair of baskets at the rim. The half court of Los Angele had tremendously improved compared to last season, but their transition defense certainly didn’t look in sync to start the game. Los Angeles surrendered a few easy dunks to the Bucks, even after a made shot. The up-tempo pace did also benefit the Lakers, as they were able to create opportunities and catch the Bucks with incorrect matchups. The Lakers would then rotate the ball all the way through, finding Ball for his second three of the game. After receiving his first break, Ball found himself with six points, three rebounds, and three assists. The Lakers, who certainly had troubling rebounding against the Boston Celtics, all made a concerted effort to crash the glass after each shot attempt. At the same time, Milwaukee loves to capitalize on mistakes and found the Lakers sleeping after some offensive sets. They ended the first quarter on an 8-1 run, holding a 24-17 lead over Los Angeles. Antetokounmpo had seven points, two rebounds, and an assist to lead the Bucks, but the Lakers were able to limit him to 3-for-7 shooting and a few questionable decisions. The second quarter would start with a basket for 2017 Rookie of the Year Malcolm Brogdon, but the Lakers were able to counter with Ball finding Randle for an assist at the basket. The UCLA product was aggressive in the matchup in Milwaukee, finding Randle and Kuzma on consecutive possessions on beautiful cuts to the rim. The Lakers were able to slowly cut into the lead of the Bucks, bringing the lead down to 30-26 on a Clarkson floater after trailing by 27-17 a few minutes ago. Los Angeles started out the second quarter brilliantly offensively, executing as a unit. Ball was finding Randle, Clarkson, and Kuzma on cuts near the basket, tieing the game 34-34 on excellent distribution by Ball. He reached nine assists halfway into the second quarter, while having zero turnovers. Ball then decided to be the aggressor, using Randle as a decoy on a driving lay-up and pulling a three-pointer from the left wing on the very next possession. The Lakers were then able to take the 41-38 lead on Ball’s third three-pointer of the game, as Kidd called a timeout in disbelief. Both teams then fought back and forth for an exciting end to the first half, with the fans at the BMO Harris Bradley Center on the edge of their seats. Another factor that was hurting the Lakers was free throws, only making seven of 14 in the first half. A Middleton jump shot at the end of the first half gave the Bucks a 51-49 lead at halftime, making for an exhilarating first half for any NBA fan. Ball finished the first half with 11 points, 10 rebounds, six assists, and two steals, while Antetokounmpo posted 15 points, five rebounds, and three assists leading his team. Randle also provided 10 points, four rebounds, and two blocks, while Brogdon also gave his team 10 points off the bench. 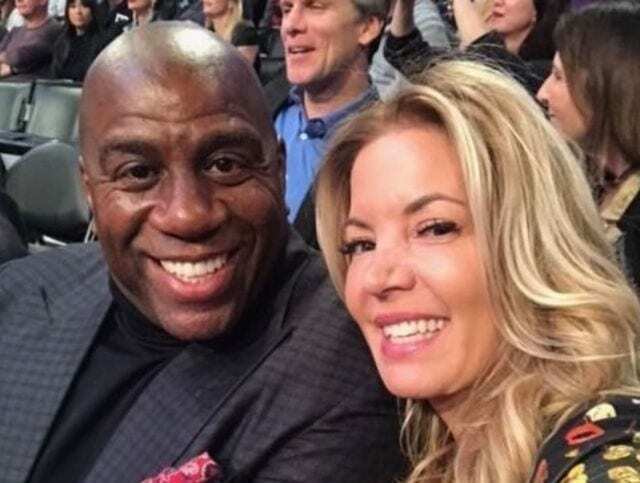 The Lakers were able to quickly take the lead back in the second half, starting off with a Ball three-point play on a backdoor pass from Lopez. Kuzma then hit a three-pointer and running floater to give the Lakers a 56-54 lead. Los Angeles also was rotating well to start the second half, which Walton has repeatedly discussed early this season. They were able to lull Bledsoe and Antetokounmpo into difficult shot attempts, double teaming on iso possessions off pick-and-rolls. Both teams were fighting hard as the game progressed, including a Caldwell-Pope strip of Antetokounmpo and Antetokounmpo swat on a driving lay-up from Ingram. Lopez was also doing a great job of protecting the rim, with two blocks and countless shots affected in the paint. 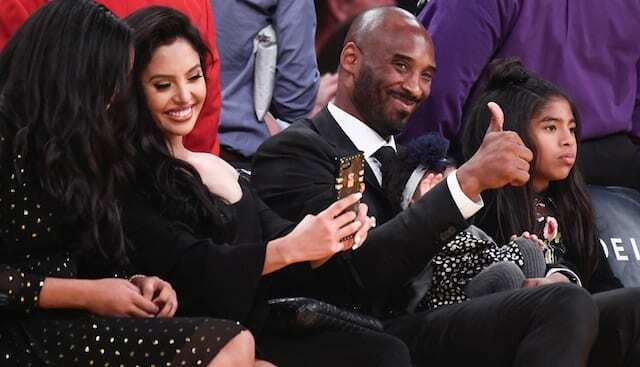 The Bucks were able to put together a nice run that gave them a 68-63 lead, as the Lakers were attempting to once again avoid ending a quarter on a sour note. However, they hit a dry spell of four minutes without hitting a field goal. Kuzma and Antetokounmpo continued to battle in the post throughout the entire game, as Kuzma drew a charge, but surrendered a dunk shortly after. At the end of the third quarter, the Bucks were able to stretch it to a 10-point lead, taking a 77-67 lead into the final frame. Free throws continued to hurt Los Angeles, shooting 14-for-25. Although ball rotation was what kept the Lakers in this game, the tough stretch and beginning of the fourth caused the Lakers to dig themselves into a deeper hole. The ball stopped in the hands of Clarkson and Randle on a series of possessions, resulting in bad shot selection and turnovers for the Lakers. Clarkson then received a questionable call as he attempted to stop Brogdon in transition, capping off an unfortunate series. The Bucks slowly were able to increase their lead, while the Lakers were having trouble going back to their success from the past two quarters. A moment in NBA history occurred at the beginning of the quarter, as Ball collected a rebound off of a missed Bucks shot. That notched his 10th of the game, as he passed LeBron James to become the youngest in NBA history to record a triple-double at 20 years and 15 days old. A pair of Randle free throws brought it back to just an 82-72 lead, with eight minutes still left in the game. 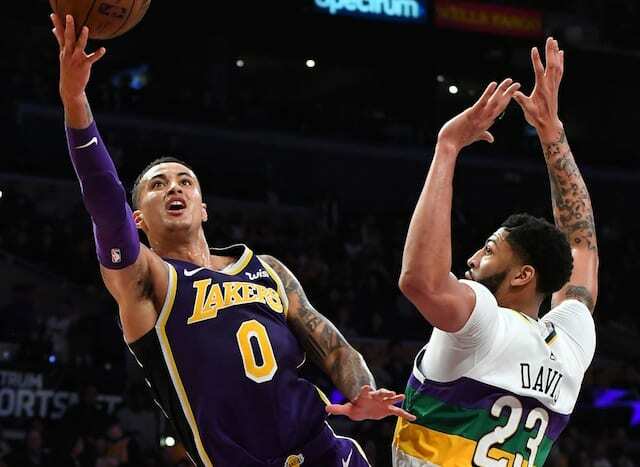 Kuzma’s three-point play on a tip-in off a missed jump shot not only brought the Lakers to within single digits, but also gave him a double-double for the night. 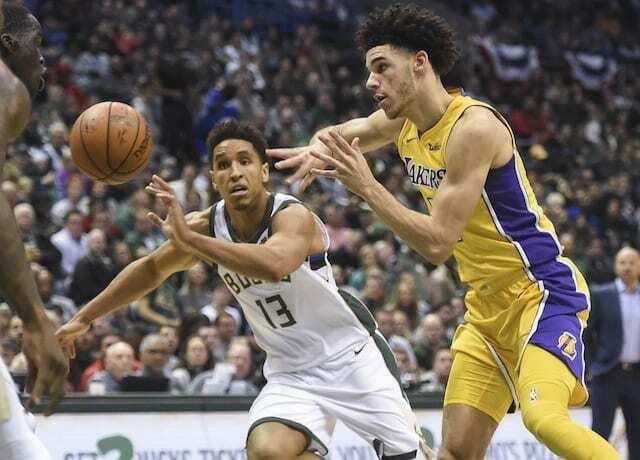 The Lakers had a tough time capitalizing on mistakes in the fourth quarter, with the Bucks extending the lead to 93-81 with four minutes left. Los Angeles came up short on their impressive first half, ultimatemly falling to the Bucks by a score of 98-90. They dropped to 0-3 on their road trip, dropping another winnable game. Ball finished with 19 points, 12 rebounds, 13 assists, three steals, and three blocks. Fellow rookie Kuzma notched another double-double, with 21 points and 11 rebounds. Antetokounmpo had 33 points and 15 rebounds to lead the way, as his team improved to 6-6 on the season.